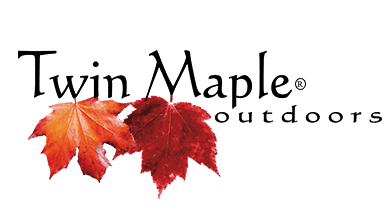 We are proud to be Pro Staff and partnered with NuCast as a leader in high quality fly reels and fishing products we use and endorse at Twin Maple Outdoors. Building a business from the ground up is for most people, a once in a lifetime opportunity. For NuCast Founder, Lindsay Brehm, good fortune is about to strike once again. Following a 30 year career, as Founder and President, of an orthodontic manufacturing company with a global presence, Lindsay has shifted his focus to the fly-fishing industry. 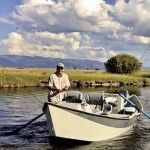 With his product development knowledge, unique business philosophy, strong customer service beliefs, combined with his love of the sport, Lindsay has launched NuCast with the dream of integrating all of these areas and more into the fly-fishing industry. Armed with innovative ideas, NuCast, seeks to offer instruments with upgraded materials and benefits. From the state-of-the-art use of Tungsten Carbide to the colorful and unique finishes, NuCast’s products will offer both quality and innovation to the angler. Our line of scissors, clamps and nippers are available with Tungsten Carbide tips which provide for longer life and precision cutting abilities. The colorful coating and NuFoam Grips on many of the instruments allow for ease of retrieval and improved maneuverability. NuCast continues to work with our Pro Staff and industry leaders to develop and field test a line of superior products. Our mission is to develop a line of quality products that are durable and dependable for your use on the water.